While staying in neutral zone, USDCAD rose yesterday and reached 1.32222 then started its bearish trend and kept it till now. In long term view the pair is going down the descendant channel while on the short term view it is climbing the ascendant channel. The price action at the moment depends on oil, if oil stays as it is for now, the pair will rise. The MACD indicator is in positive territory showing the price correction and the RSI is getting close to the 50 level. EMA of 50 is below the EMA of 100. 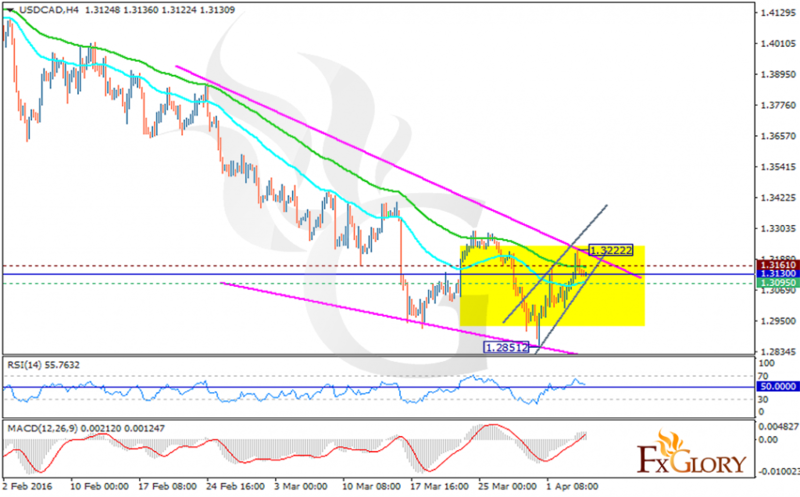 The resistance breakout at 1.3161 will be the starting point for bulls to push the price upside for 1.3638. Now the support lies at 1.3095 which might go upper today. Buyers can wait for the resistance breakout and then enjoy the price upward action otherwise, in terms of the support break, the pair will continue its long term decline within the descendant channel.